Young Drivers Safety Training presents Alive at 25 Texas the National Safety Council Course. The Alive at 25 Texas class is the 4 hour young driver course is approved under the Texas Education Agency [TEA] for ticket dismissal in Texas. 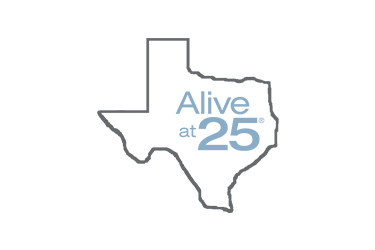 Alive at 25 Texas is one of our first website clients. Their goal was to become #1 in their search terms. We designed a website that accurately displayed information about the course along with call to actions for scheduling on every page. We also created strong SEO for the website so that the pages appear not only under target keywords, but also under relevant terms. The work we’ve performed has increased their business 5x over. The “City” page on Alive at 25’s website is vital to building the SEO for the website. It works as a landing page for visitors who are looking for classes in their city, and segments the audience based on pages they visit.